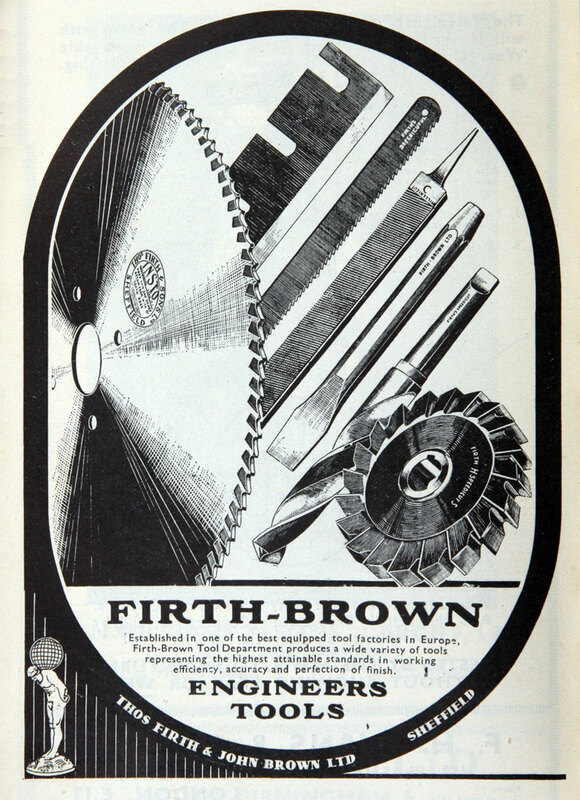 1902 John Brown and Co acquired seven-eighths of the ordinary shares of Thomas Firth and Sons by exchange of shares, the two companies continuing under separate management. 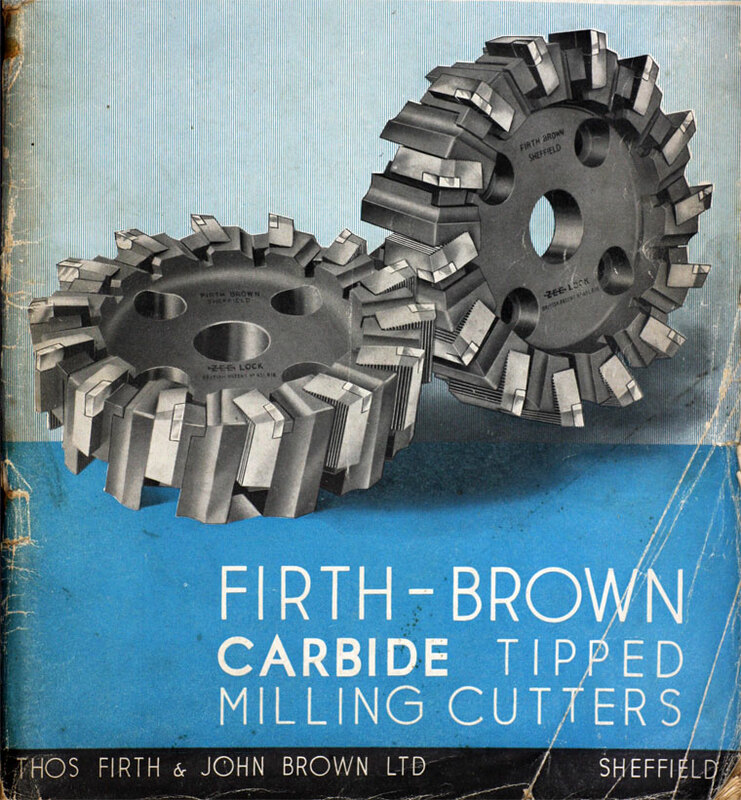 1930 Thomas Firth and John Brown formed by the merger into Thomas Firth and Sons of the heavy steel interests of John Brown and Co, neighbouring companies in Sheffield. 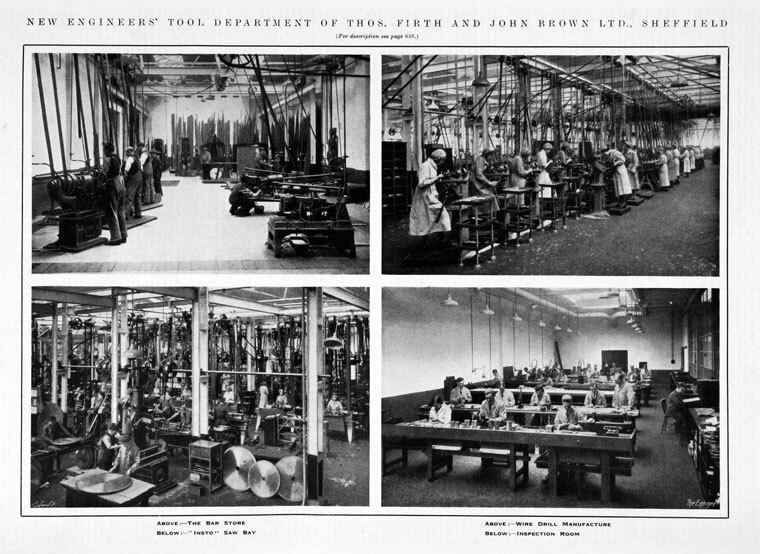 John Brown and Co would own 85% of ordinary shares of the amalgamated business. 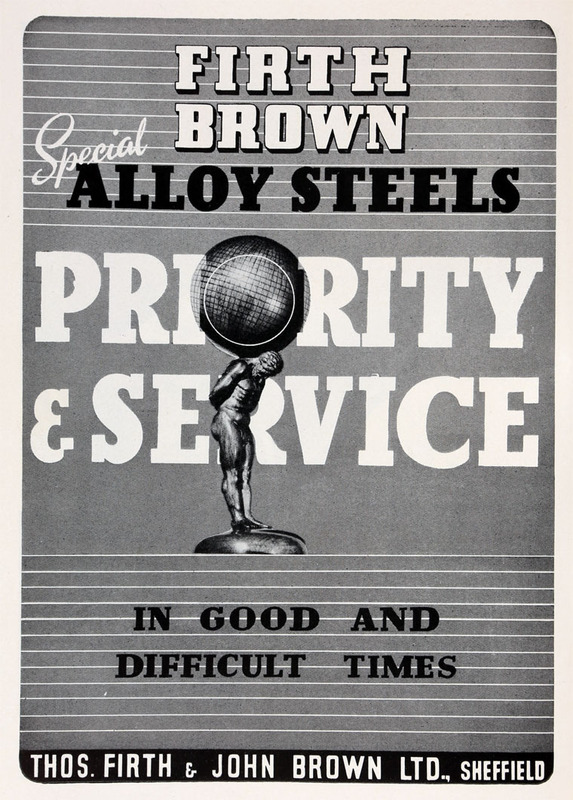 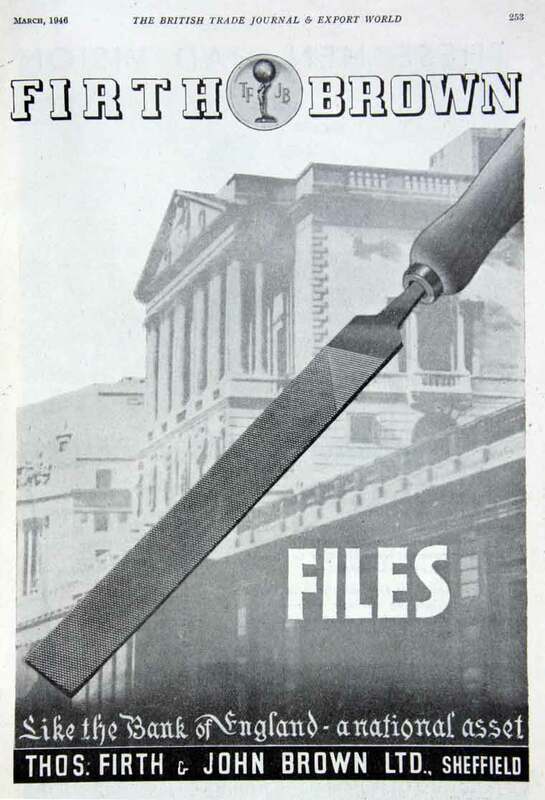 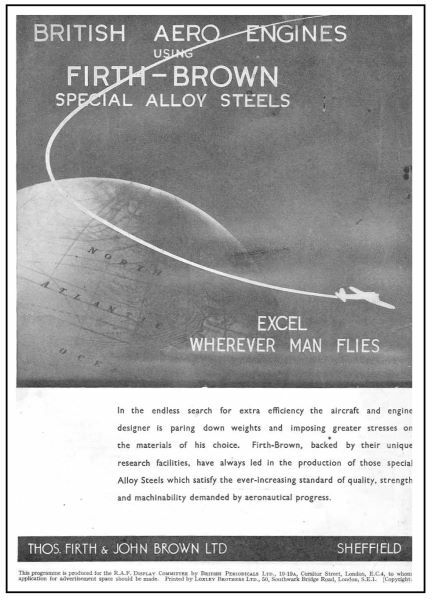 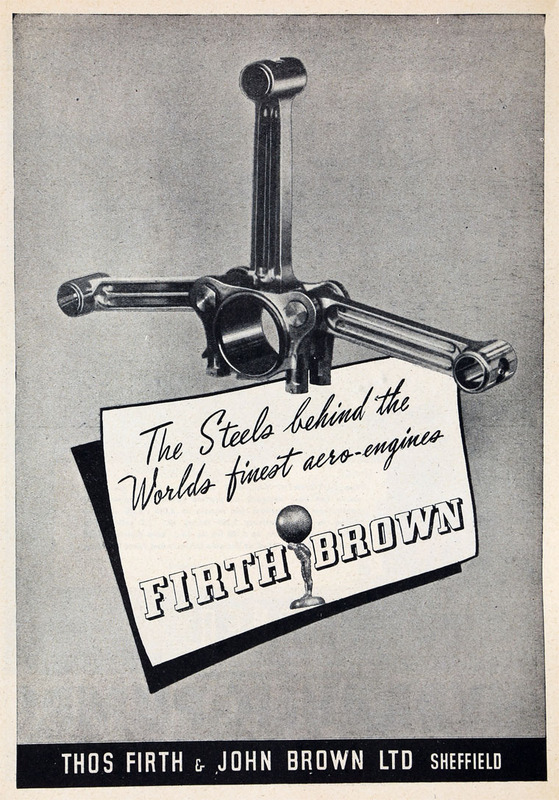 1934 New company Firth-Vickers Stainless Steels formed to acquire the stainless steel interests of Thomas Firth and John Brown and the English Steel Corporation, which would jointly own the new company. 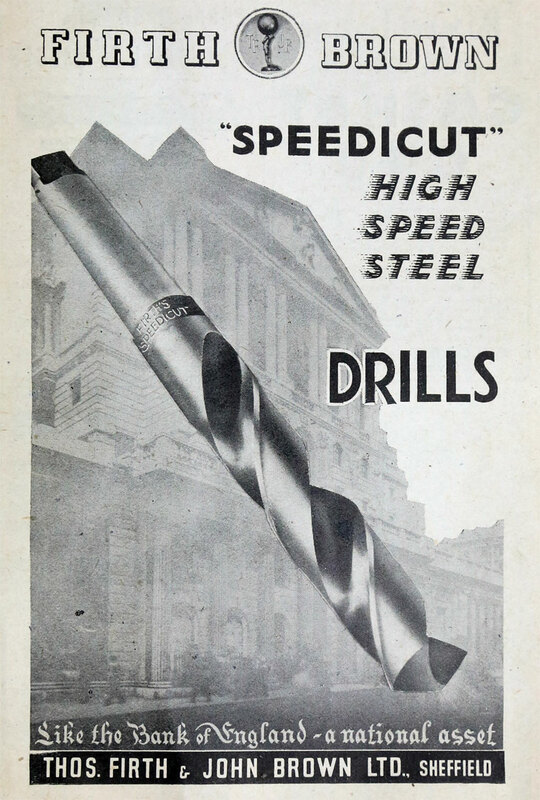 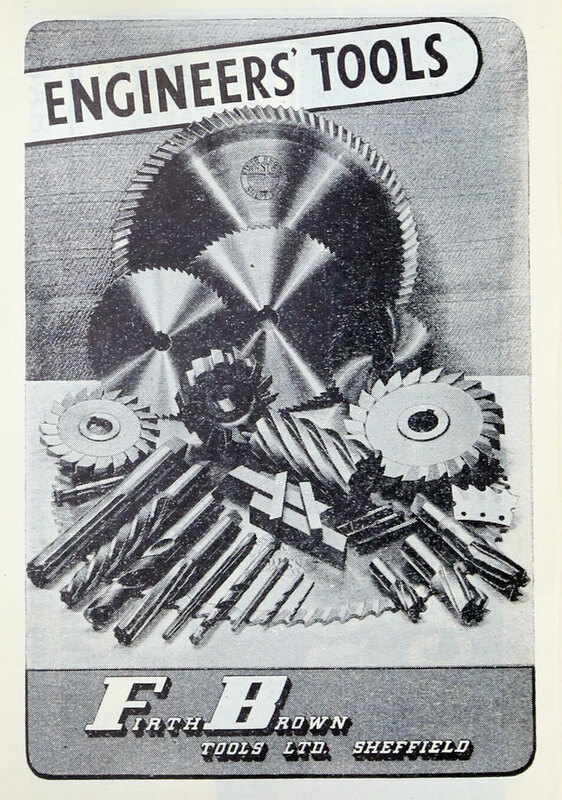 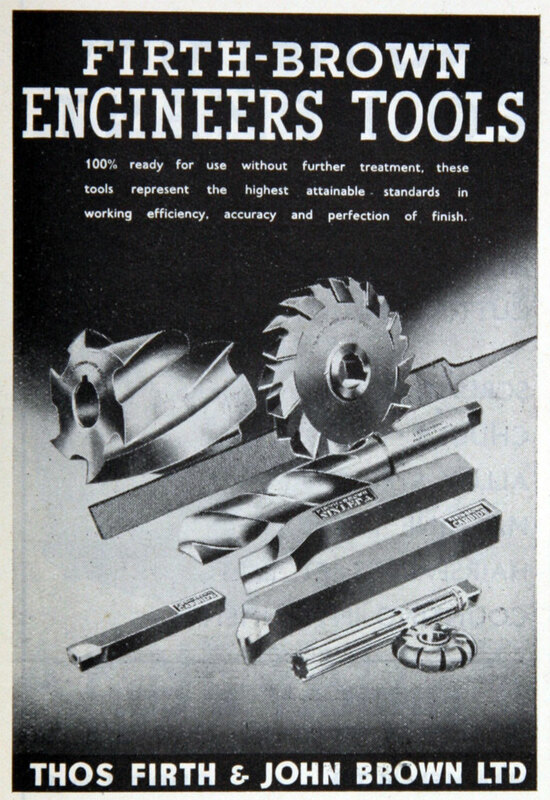 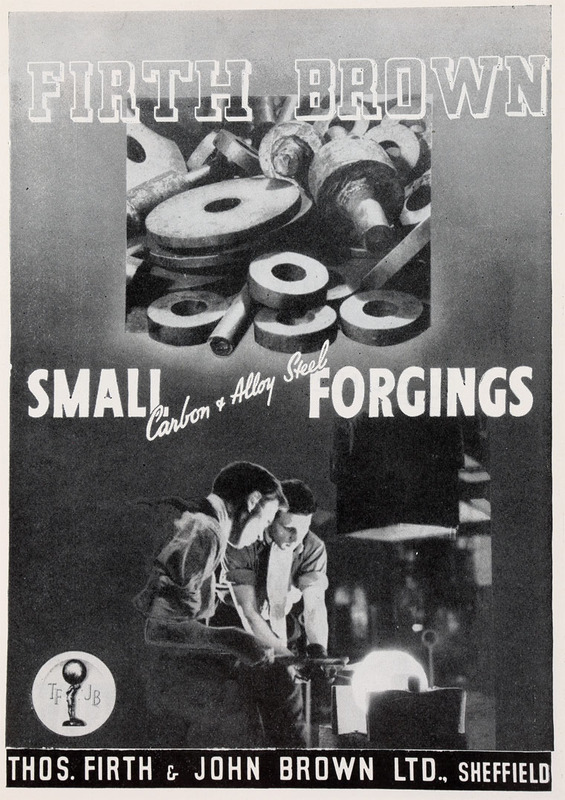 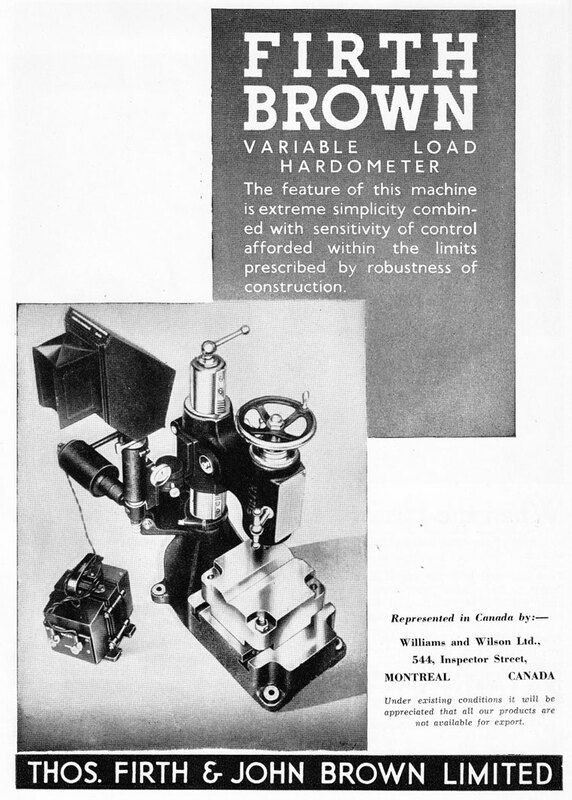 1936 The Engineers Tools Department was especially valuable in helping customers machine the steel products. 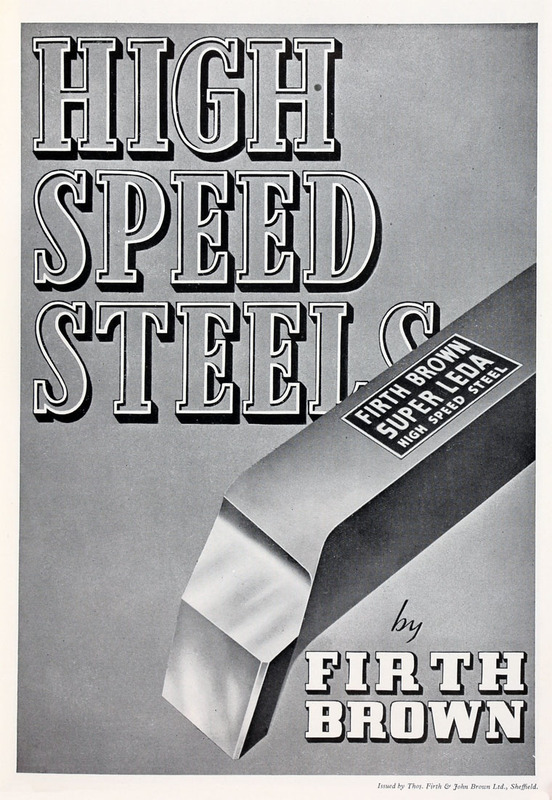 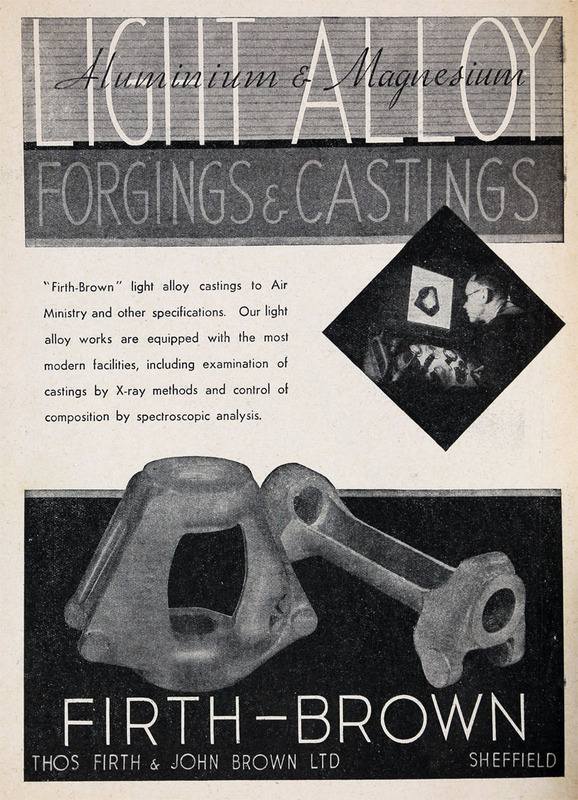 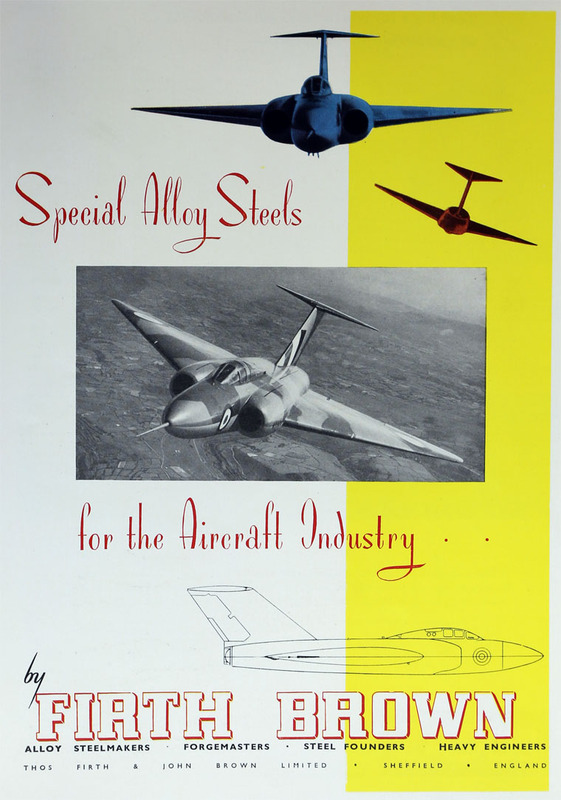 The jointly owned company Firth-Vickers Stainless Steels Ltd was continually finding new uses for its products. 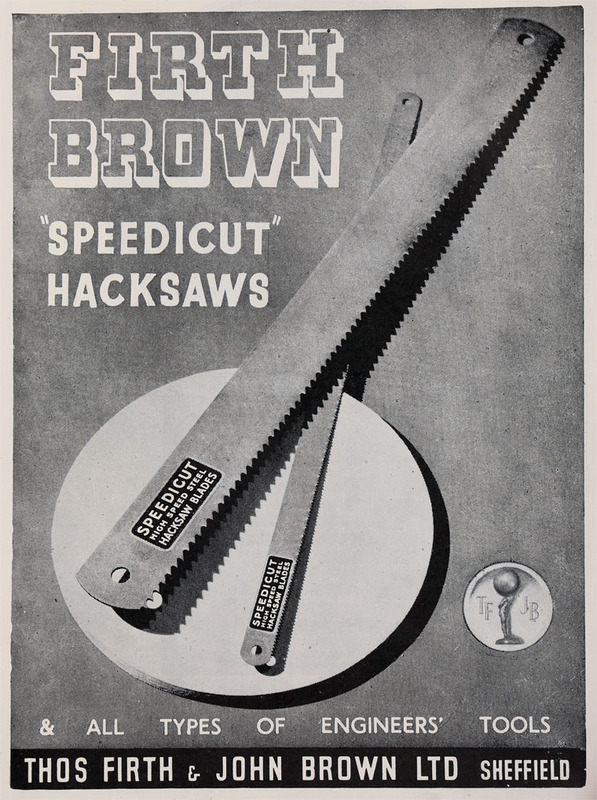 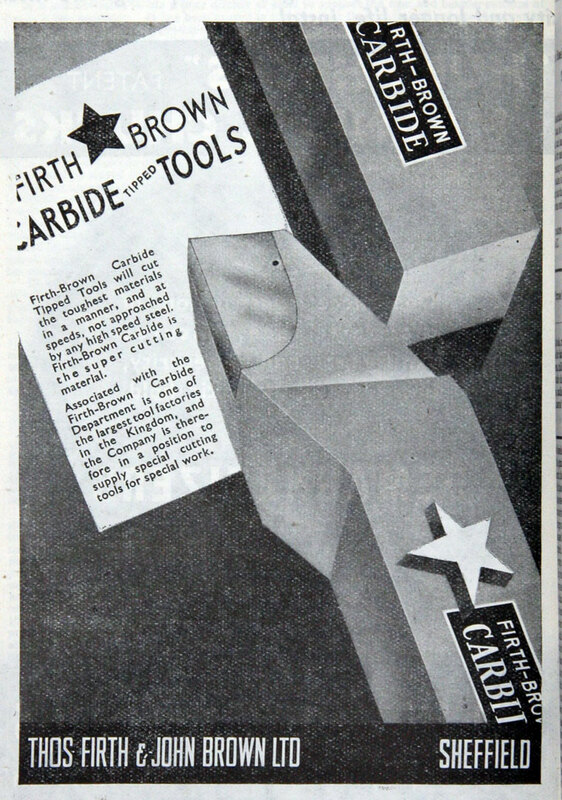 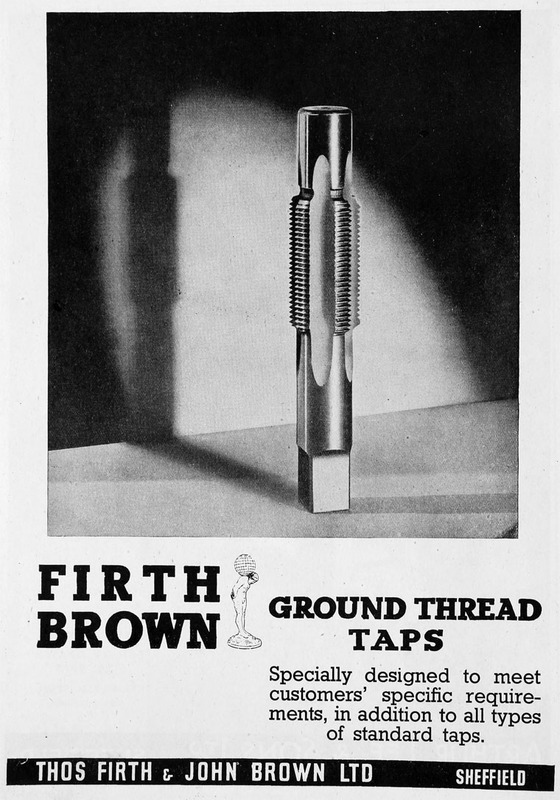 1946 Public company Firth Brown Tools formed for purpose of acquiring from Thomas Firth and John Brown Ltd the tools department which had been established around 1900; several directors of John Brown and Co were to be on the board. 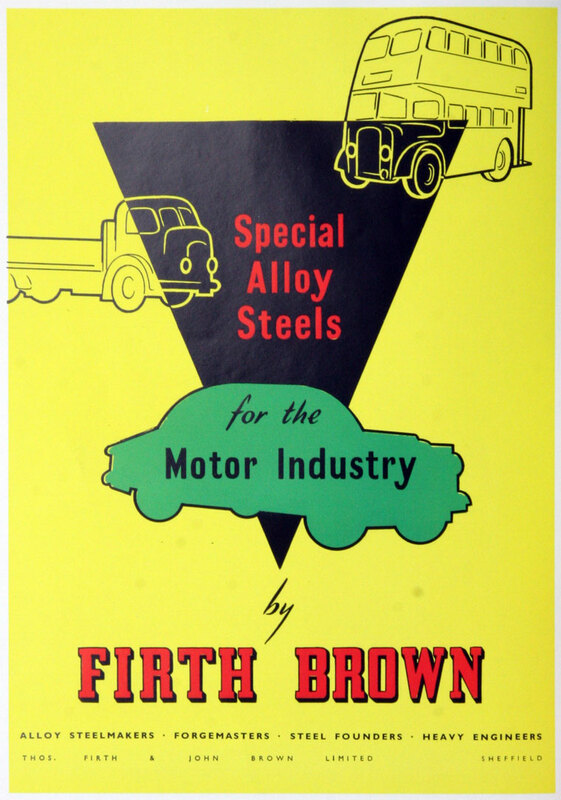 1952 John Brown and Co had received £5.5 million in British Iron and Steel stock for its shares in Thomas Firth and John Brown. 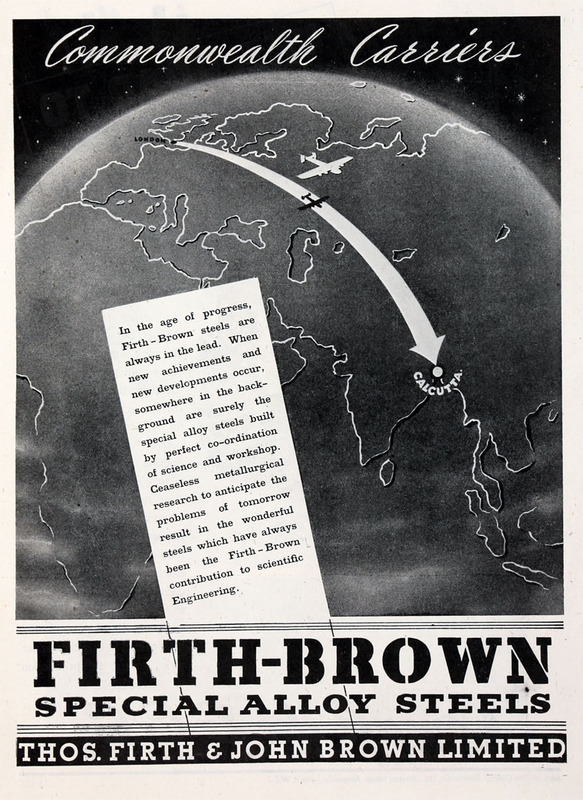 1955 On denationalization of Thomas Firth and John Brown, John Brown and Co arranged for its shareholders to have the right to invest in the shares themselves, rather than John Brown and Co acquiring them. 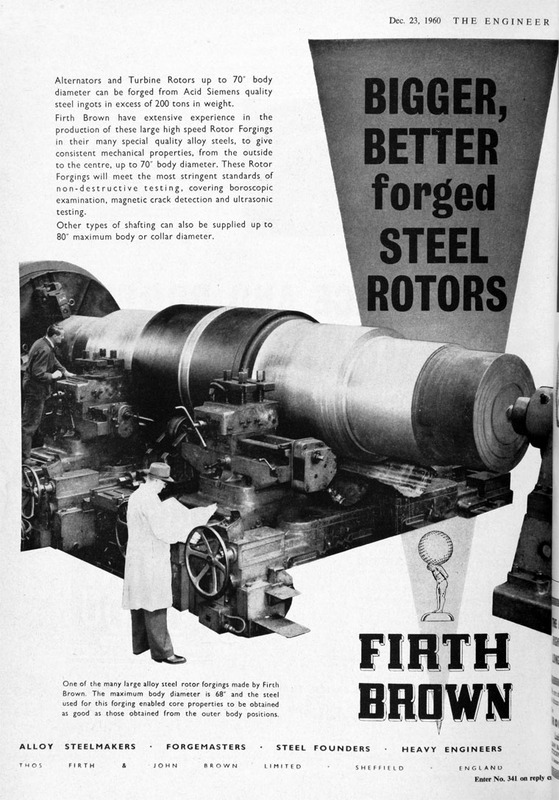 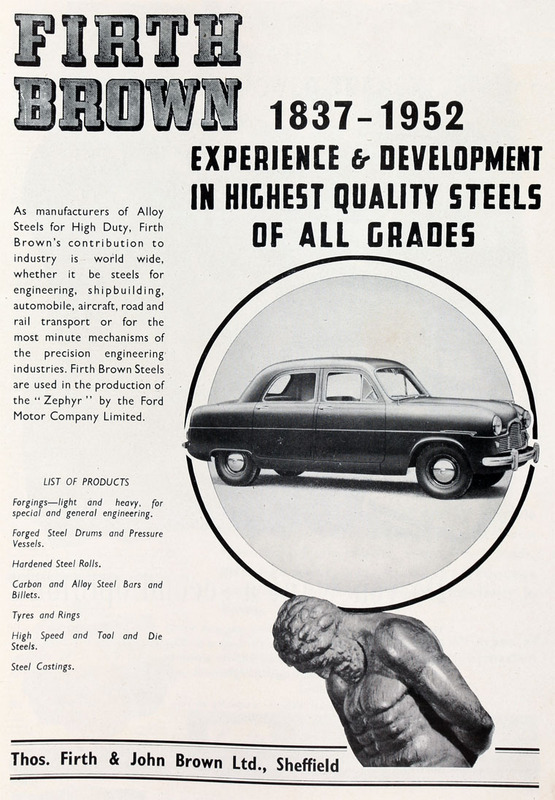 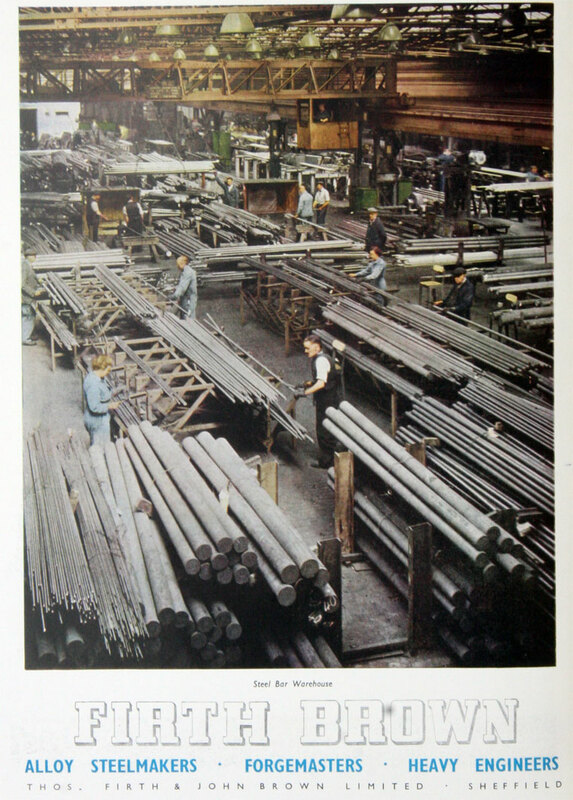 1960 Subsidiary company was William Beardmore and Co; associated companies were Firth-Vickers Stainless Steels Ltd and Firth-Derihon Stampings Ltd.
1961 Steel manufacturers handling carbon and alloy steel forged blooms; billets and bars; carbon and alloy steel forgings; hollow forgings; forged steel die blocks; fully-hard, semi-hard and back-up forged steel rolls; slabbing and cogging forged steel rolls; rolled products including carbon and alloy steel billets, slabs, black bars and bright drawn or centreless ground bars, high speed, carbon and alloy tool and die steels, special steels, carbon and alloy tyres, carbon, alloy, stainless and heat resisting steel rings; steel castings; drop forgings in alloy, stainless, special creep-resisting steels and in nimonic and titanium alloys; fusion welded boiler drums and similar pressure vessels; welded fabrications for general engineering; ingots in acid open hearth and electric arc and high frequency steels. 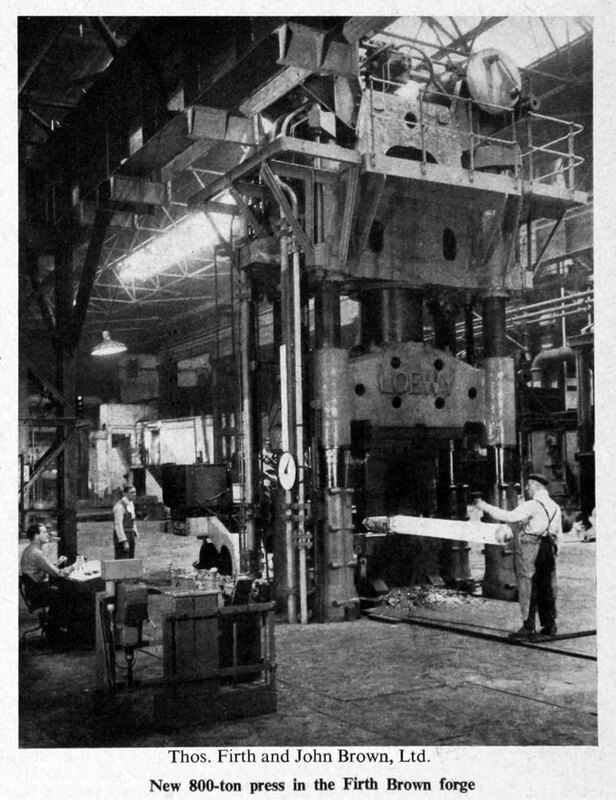 10,000 employees. 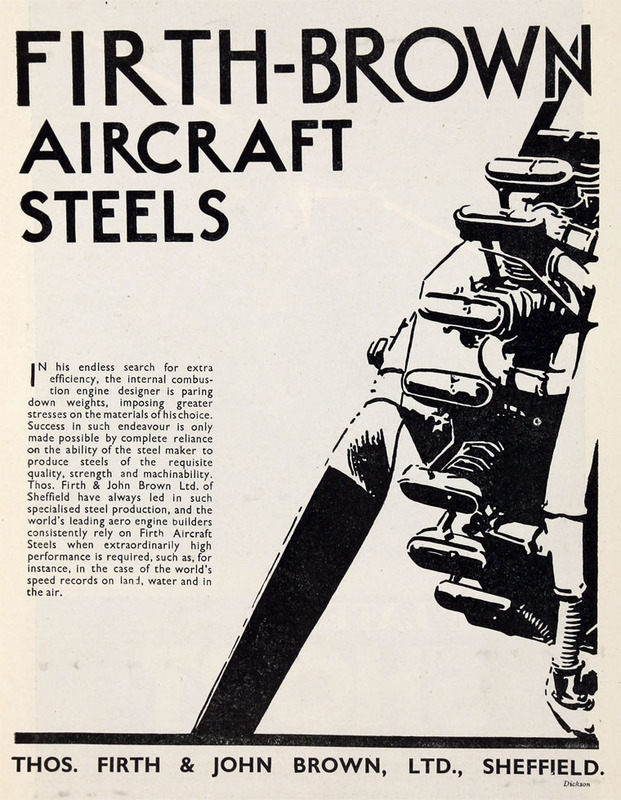 1972 The nationalized British Steel made an agreement with the private sector Thomas Firth and John Brown to rationalise stainless steel operations by taking over the rolling of strip and plate; Thomas Firth and John Brown would retain the Firth Vickers company. 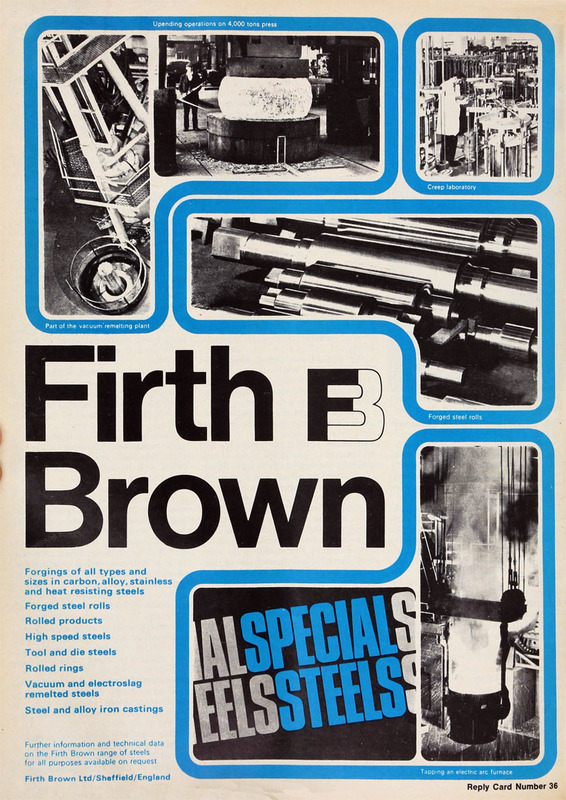 1973 Merger with Richard Johnson and Nephew, company to be known as Johnson and Firth Brown Ltd.
1974 Lamson Engineering Co supplied 1,580m 75mm pressure air tube system at Sheffield.